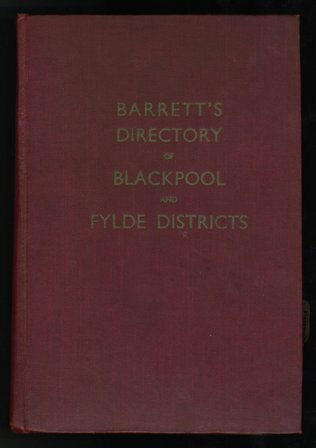 Barrett's Directory of Blackpool and Fylde 1953. Useful for researching people and businesses. businesses only in the Lytham St.Annes, Fleetwood & Cleveleys sections.